Get more of what you're driving for! 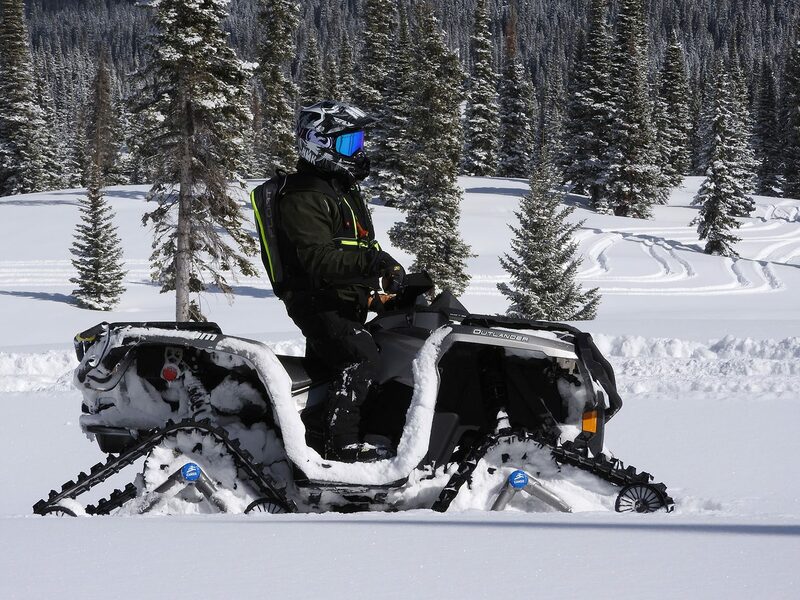 No matter how rugged your sibe-by-side or all-terrain vehicle is, deep snow, serious mud, and swampy terrain can sometimes be too much for your wheels to handle. But where wheels just sink, Camso track systems will keep you moving by distributing your vehicle's weight over a greater surface area. That means you can go just about anywhere, on any surface. Push your vehicle's performance to the next level with a four-season track system that will never let you down. Converting your small ATV from tires to tracks has never been so affordable.